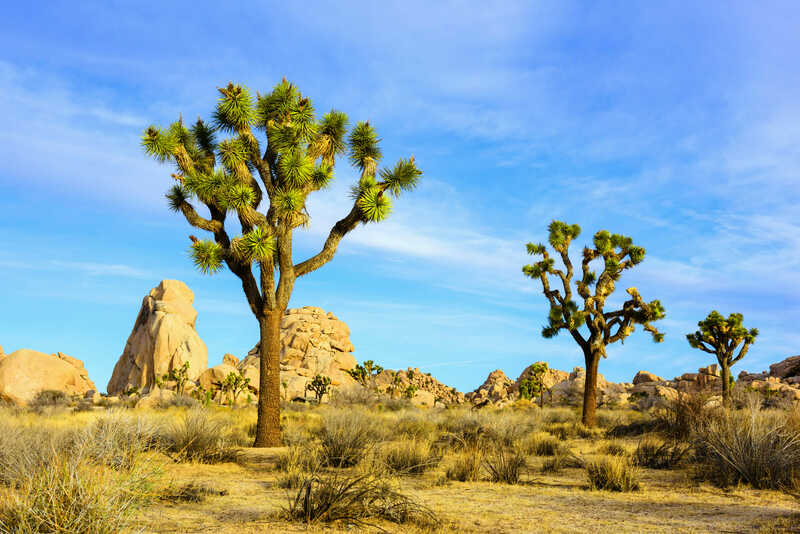 Away from California’s mega-theme parks, lives a world of weird and wonderful nostalgic attractions – from cowboy film sets and retro diners to roadside dinosaurs and caveman themed motel rooms. Zoey Goto and her husband Craig packed up their children – Summer, 6, and Indiana, 9 months – and hit America’s West Coast, on a road trip to search for the most unique family attractions. We touched down in Los Angeles after a ten-hour flight and eased ourselves into the relaxed Californian lifestyle by spending our first night at the Hermosa Beach House Hotel. This gorgeous hotel overlooks the picturesque, palm-tree-lined sands we’ve dreamt of in La. 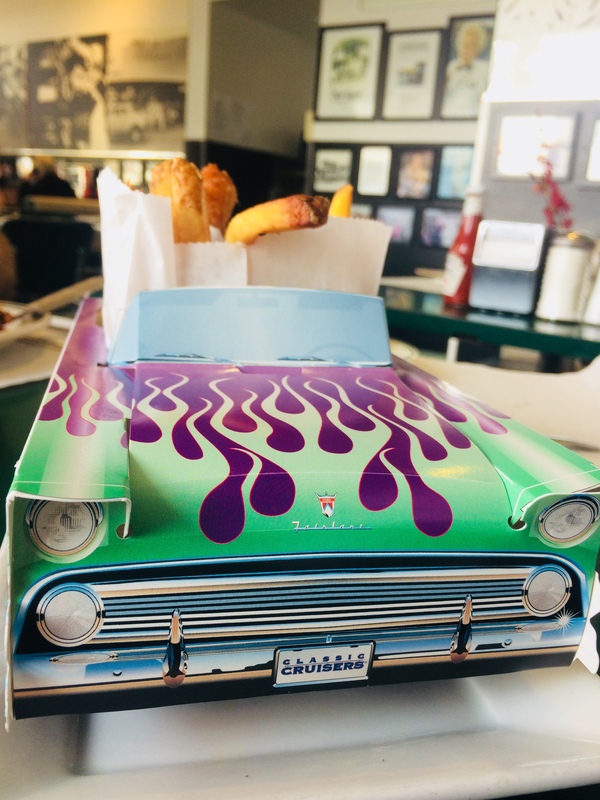 Much to our eldest daughter’s delight, that evening we ventured out to the ‘50s style Mel’s Diner, where our booth had its own jukebox and her meal was delivered in a cardboard Cadillac. Revived, we drove up to the Art Deco style Griffith Observatory, perched high on the hill with impressive views of the stars above and Los Angeles below. 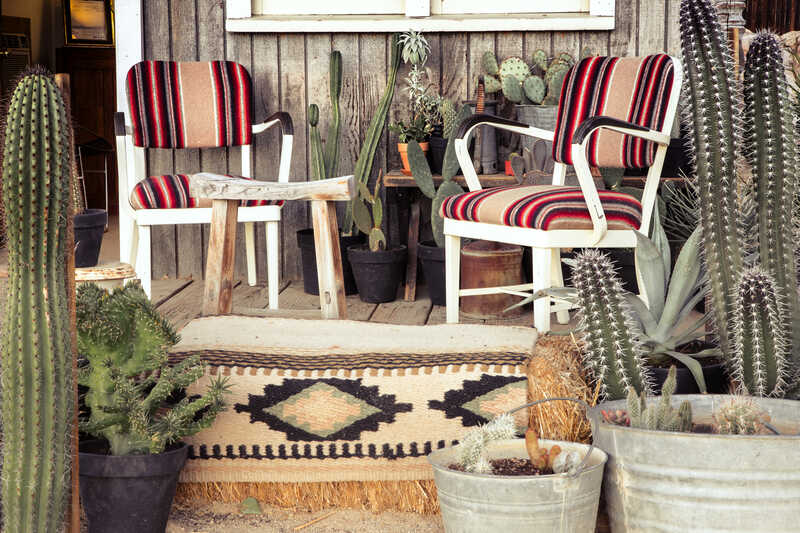 The next morning we packed up and headed two hours south of LA to Pioneertown – a former Western movie set founded by Roy Rogers and Gene Autry back in the ‘40s. 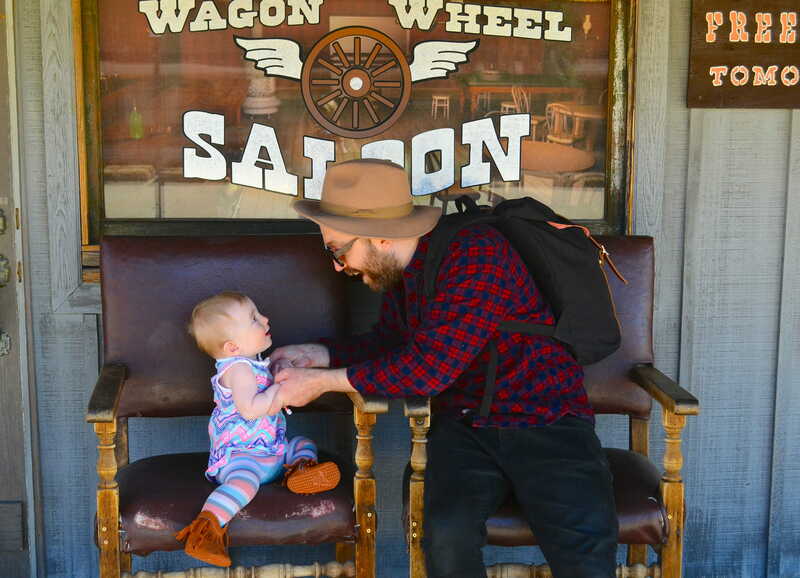 Filming has since ceased, but the frontier style town has found a new lease of life as a photogenic tourist attraction, complete with the hip Pioneertown Motel and the family-friendly Pappy & Harriet’s restaurant and live music venue. 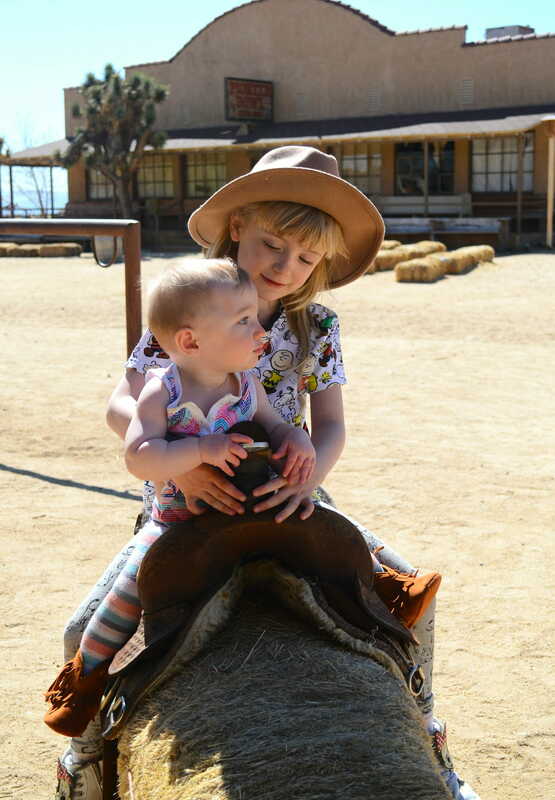 The girls loved playing cowgirls on Mane Street, then dancing the night away to the country band after dinner, before heading back to rest their weary heads at the Pioneertown Motel. At daybreak we hit the highway again, driving just under an hour through the Joshua-tree-lined desert to Palm Springs. 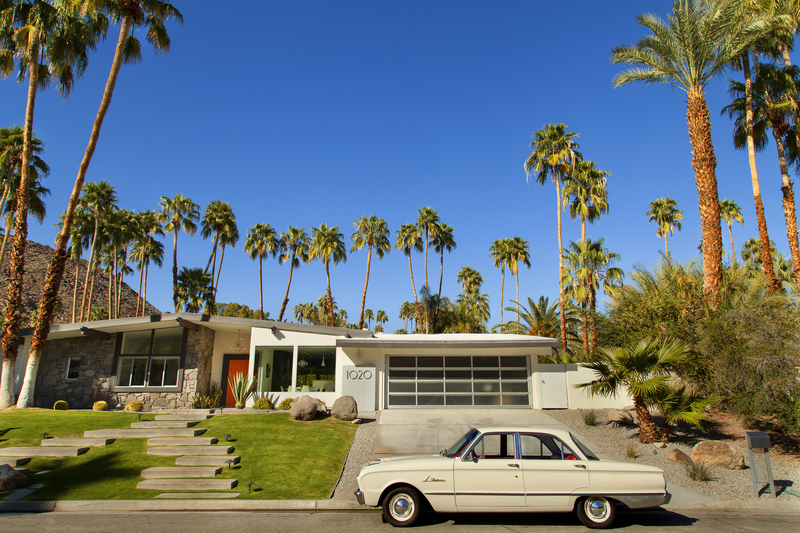 The town is a mecca for Mid-century modern design enthusiasts, with almost every building in the town influenced by the local desert modern style. We took a guided tour of the town’s architectural highlights with The Mod Squad, who allow kids providing you bring your own car seats. To truly experience the Mid-century lifestyle, many properties are available to rent overnight. 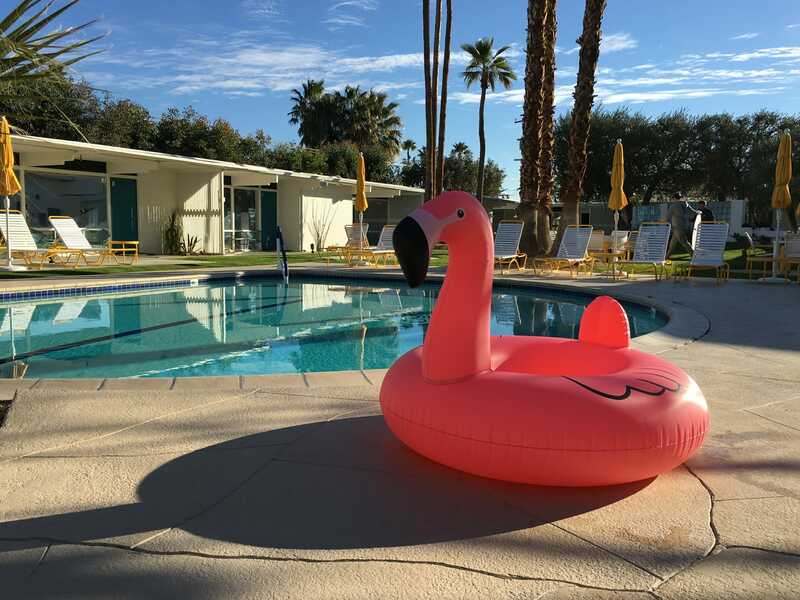 We spent our first Palm Springs night at The Amado, an impeccably restored Mid-century gem, with a handful of suites surrounding a tranquil swimming pool, overlooked by the San Jacinto Mountains. In keeping with the Mid-century theme, our next stop was the Ace Hotel & Swim Club, a renovated former motel and Denny’s diner that has successfully transformed into a hipster destination. It was wonderfully laid back and child-friendly, with two pools crammed with Instagram-ready flamingo inflatables. 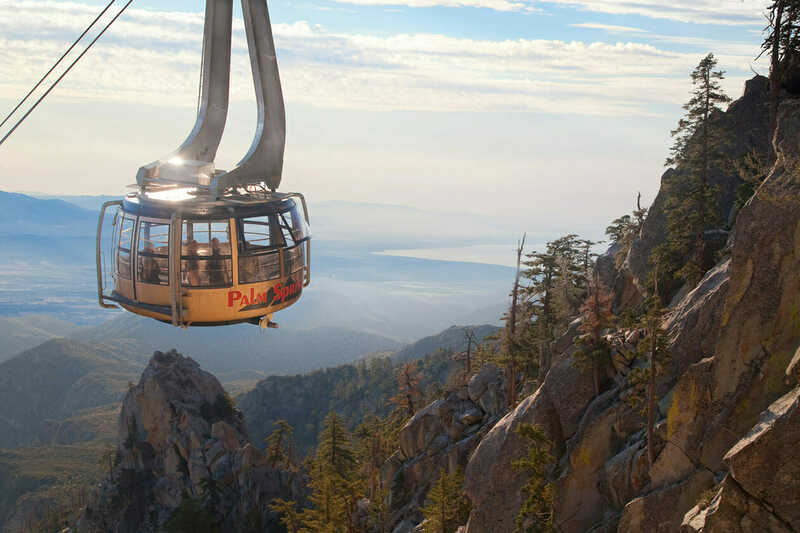 While I marvelled at Palm Spring’s architecture, the family found plenty to keep them entertained – from horse trekking along the base of the breath-taking mountains, to riding the world’s largest rotating aerial tramway, and visiting the ginormous Cabazon dinosaurs – a kitsch roadside attraction where children can climb into T. Rex’s mouth. Sadly our time in Palm Springs was up, so we pressed on with a five-hour drive north, past Los Angeles and into San Luis Obispo – home of the legendary Madonna Inn. The motel opened in the ‘50s and has since become a design icon, due to the 110 extravagantly and uniquely themed guest rooms. 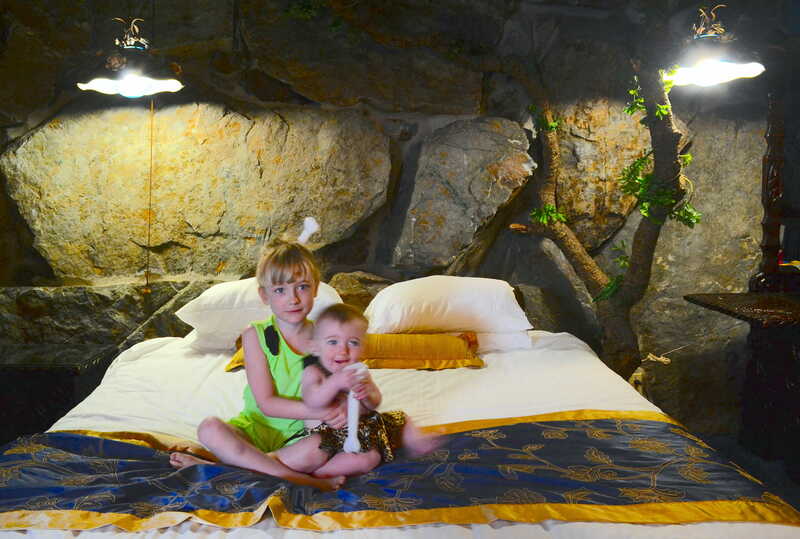 We stayed in the Jungle Rocks room, which our Flintstones-obsessed daughter adored. 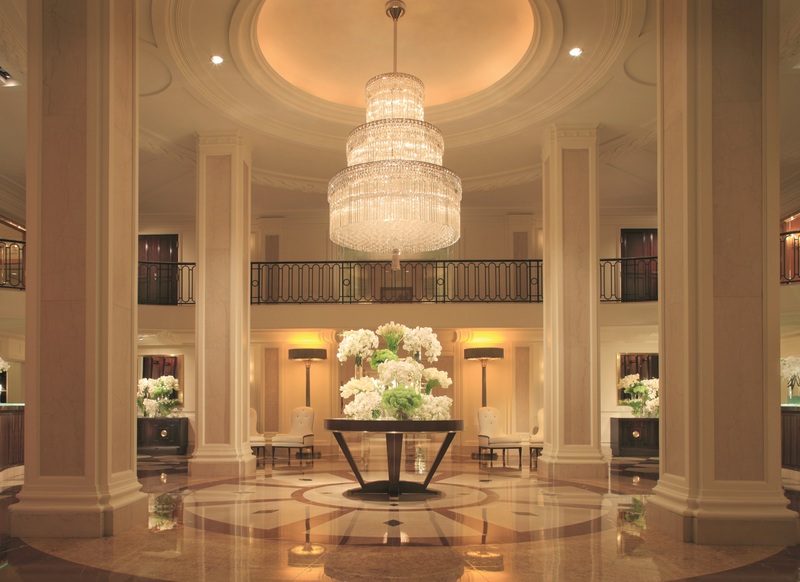 While the kids and I enjoyed the over-the-top decor, my husband was mildly terrified by the dining room’s Pepto-Bismol pink overload, so he was relieved when the following day we headed back to LA to conclude our trip in style by booking into the five-star Beverly Wilshire hotel, overlooking Rodeo Drive. 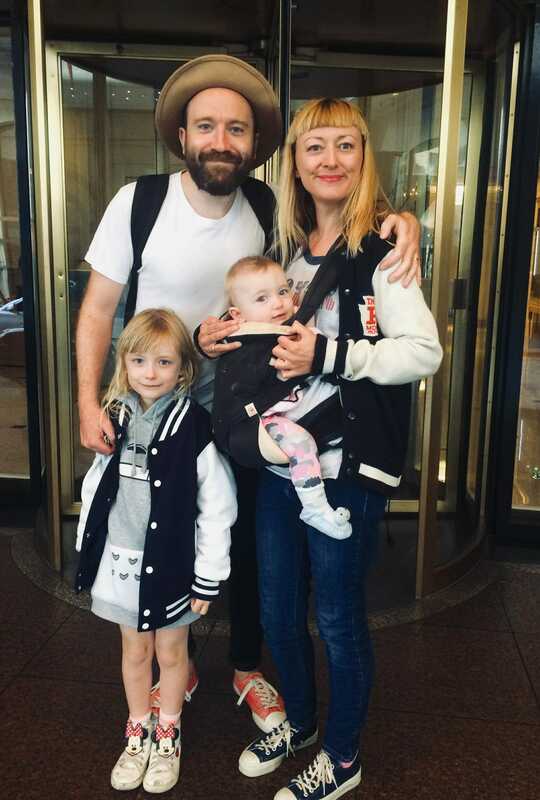 This is by far the most accommodating hotel we have ever stayed in as a family. Upon arrival, our room was set up with baby toiletries, nappies and a nappy bin, children’s bathrobes and princess bed sheets. The staff were incredibly welcoming, remembering our children’s names and stopping to chat with them. That evening we finally dragged ourselves away from the Beverly Wilshire’s gorgeous Mediterranean-style rooftop pool, to head out to the open-air Paramount Drive-In Cinema. It was a slice of pure Americana nostalgia, as families opened up the boots of their cars and settled down with blankets to watch the movie. 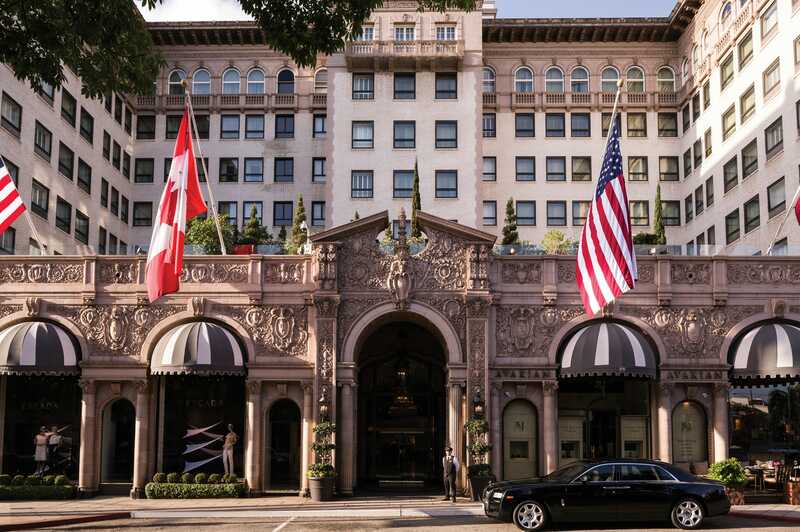 By driving a little off the beaten track, our family road trip helped us to explore a side of the West Coast that is deeply rooted in its glamorous past. We left California invigorated, taking a little of that famous sunshine back home with us. These brilliant packs are bursting with toys, crafts, puzzles and healthy snacks, all tailored to your child’s age and the length of the journey. Suddenly that long-haul flight seems a little less daunting! Rather than dragging car seats, play equipment and buggies through the airport, lighten the load by hiring them at your destination. Road Trip Babies service the Los Angeles area and will meet you at the airport, or drop off and pick up the items from your hotel. If you’re planning the ultimate American road trip, Hertz have put together off-the-beaten-track routes, downloadable maps and insider guides to inspire you. JoJo Maman Bébé’s Koo-di Sun Travel Cot (£60) is great if you’re staying in multiple locations and don’t want to rely on the hotels for cots.